Any time you are moving from one place to another is sure to be an expensive time in your life. Not only do you need to pay for moving-related expenses, but you have probably also just gotten done buying a new home to move into. 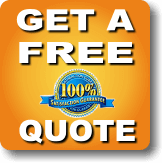 When you start to add everything up that has to happen in order to arrive at your moving day, it becomes clear that you should be looking for every possible way to save a few dollars here and there. This is one of the fastest ways to save money when you are getting ready for your move. Instead of buying all of the boxes you need to pack your things, see how many you can find for free from various sources. To start, ask friends and family if they have boxes left over from when they last moved – they will most likely be happy to give them to you just to clear space in their own home. Also, many retail stores have piles of boxes in the back that they are happy to get rid of if you just ask. Newspapers and old blankets or pillows make for great packaging material, and they won’t cost you a dime. You will probably still need to purchase a little bit of packing material for your more-delicate items, but any little bit you can save will be worth it. Also, if you use things like blankets as padding, you will be essentially packing those at the same time, so you will have reduced the need for even more boxes. Moving less items is a great way to save money because the overall size of the move will be less. That means fewer boxes, less cost to hire the moving company, etc. In the weeks and months leading up to your move, look around the house for things that you can get rid of and don’t want to take with you to the new place. You just might be surprised at how much easier the move can be when you don’t have quite so much stuff to put into the truck. As you would expect, weekends are far more popular moving days than during the middle of the week. Also, the end/start of the month is a common time for people to be moving as leases expire and new ones start. If you are able to move during the week and closer to the middle of the month, you may be able to get a lower rate as a result. Also, the moving company is likely to be less busy at this time, meaning you should have more flexibility in your scheduling. Saving money is a worthwhile goal while undertaking a move, but it shouldn’t come at the expense of breaking some of your valuables. In fact, you can quickly lose the money you saved if you do a poor job of packing and lose some of your items to damage along the way. Spending a little extra money upfront to make sure everything is packed properly is usually a wise investment in the end. 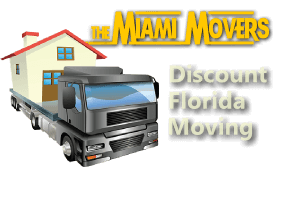 If you would like to get started planning your move for a discount price in the South Florida area, contact the team at Miami Movers today.